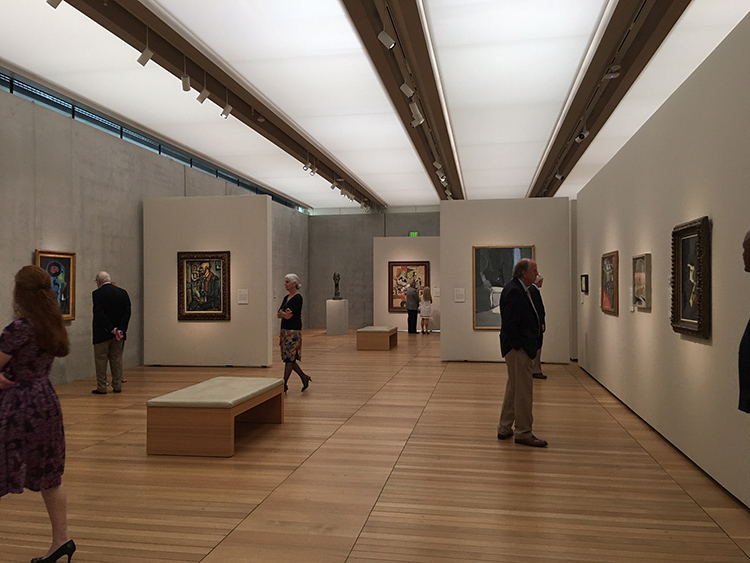 My first two weeks of May were spent with the terrific staff at Kimbell Art Museum in Fort Worth, Texas. 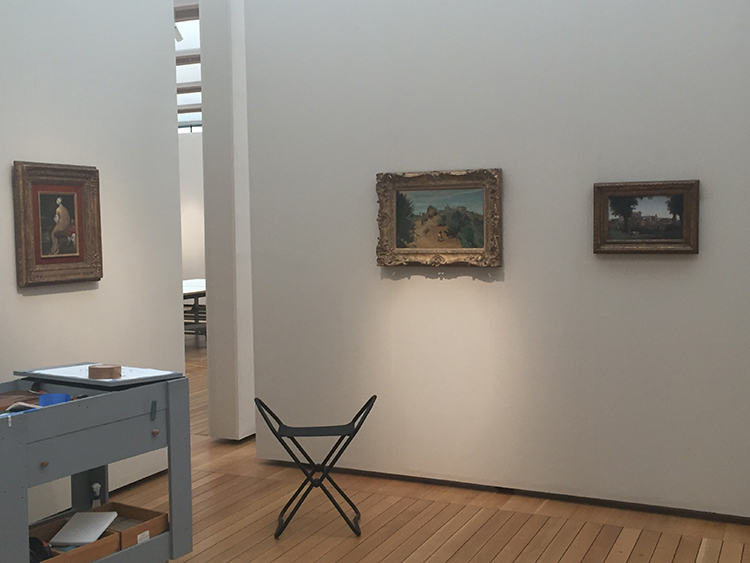 Together, we condition checked and installed the travelling exhibition A Modern Vision: European Masterworks from The Phillips Collection. 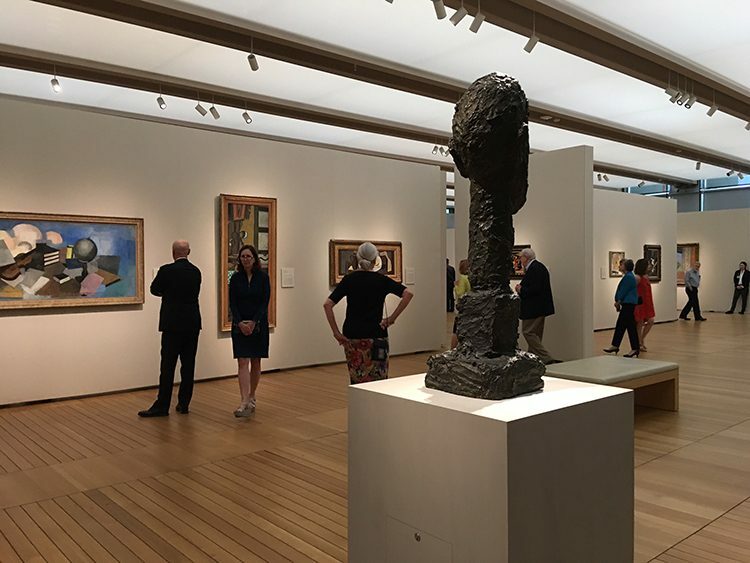 Highlighting Duncan Phillips’s collecting approach, the exhibition presents a stunning array of iconic European paintings and sculptures. 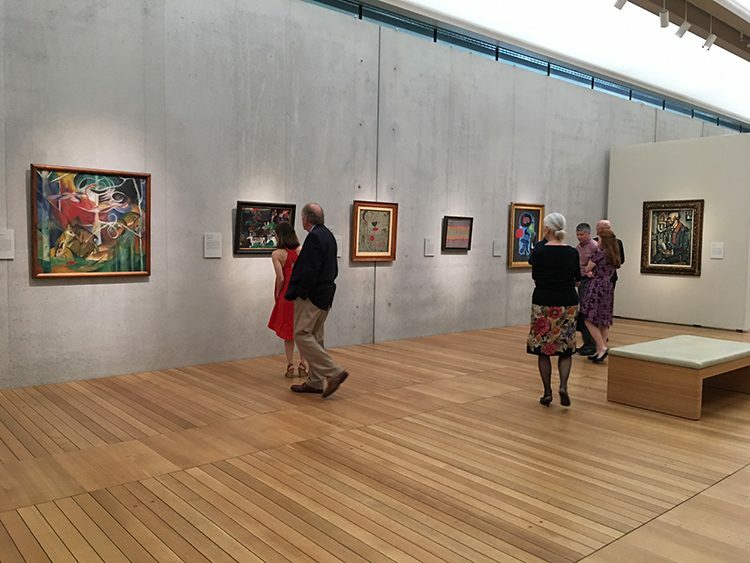 It features the artists Phillips revered who achieved the mastery of color, the power of great emotion, and the balance of representation and abstraction. 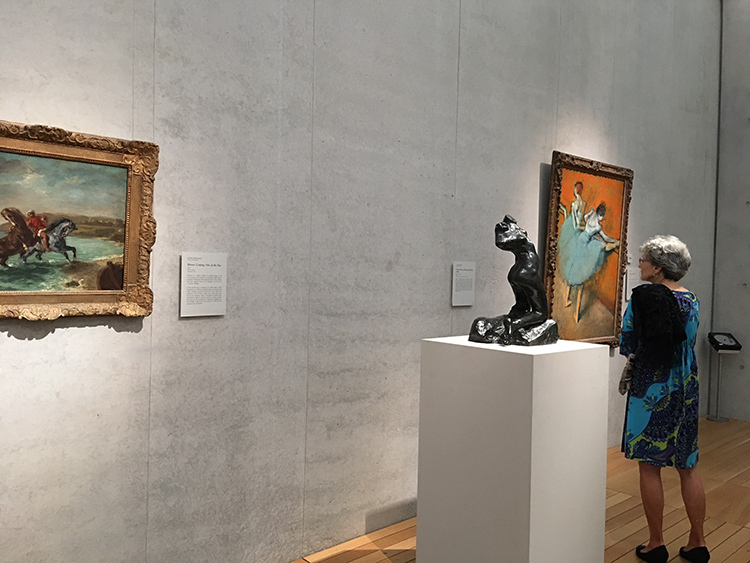 Works by Jean-Siméon-Baptiste Chardin, Gustave Courbet, Eugene Delacroix, and Édouard Manet are placed in dialogue with Impressionist and Post-Impressionist masterpieces by Edgar Degas, Paul Gauguin, Vincent van Gogh, and Claude Monet. 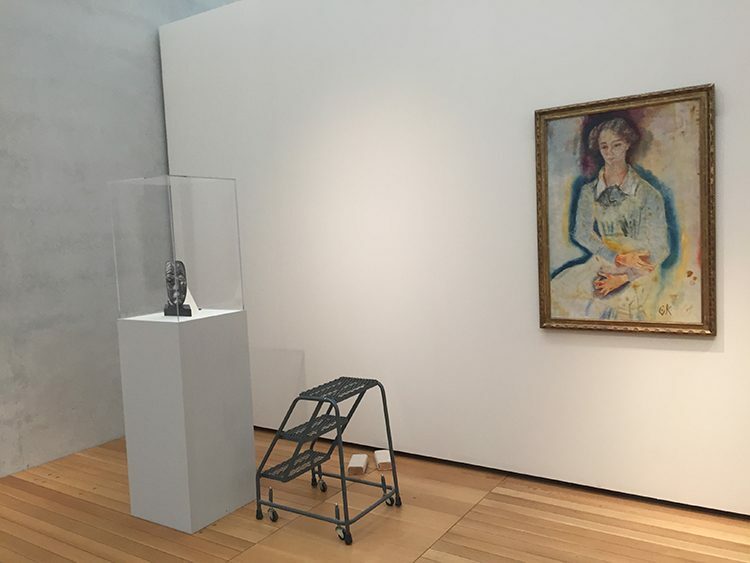 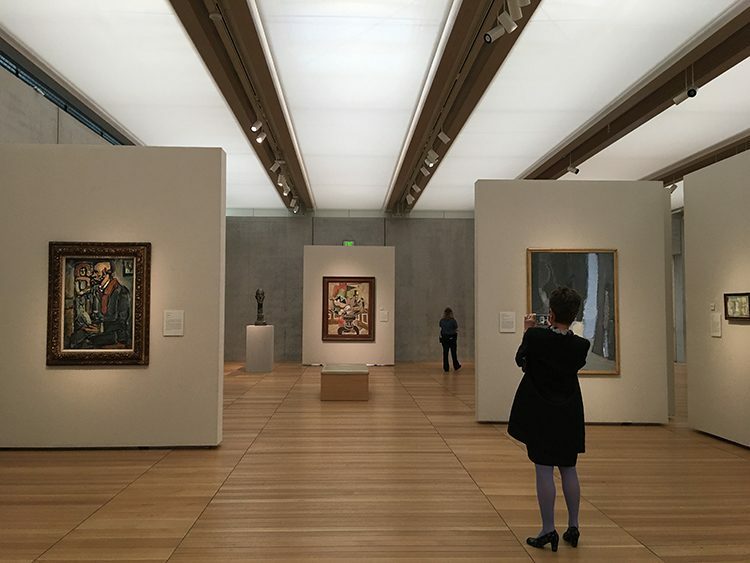 The great masters of the 20th century including Wassily Kandinsky, Henri Matisse, and Pablo Picasso are shown with units of work by Pierre Bonnard, Georges Braque, Paul Cézanne, Honoré Daumier, and Paul Klee. 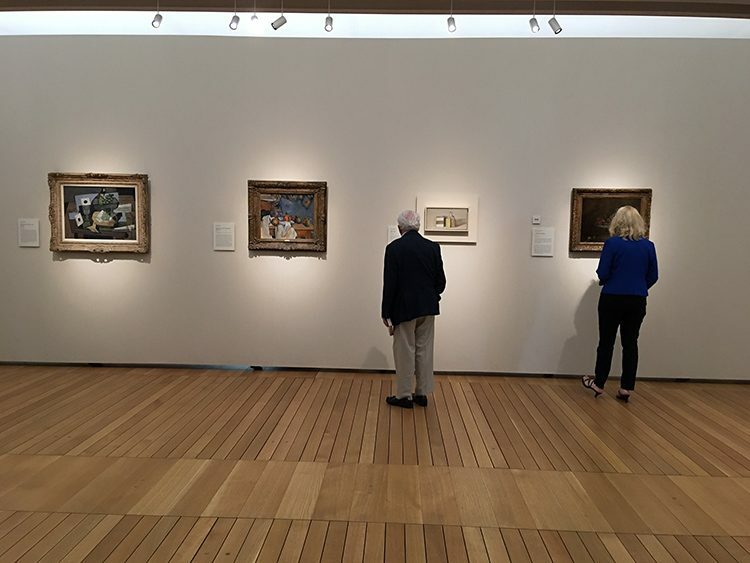 On May 11, Phillips Director Dorothy Kosinski and curator Susan Behrends Frank joined me at the exhibition opening; on May 13, Frank gave a lecture on the exhibition to 400 visitors. 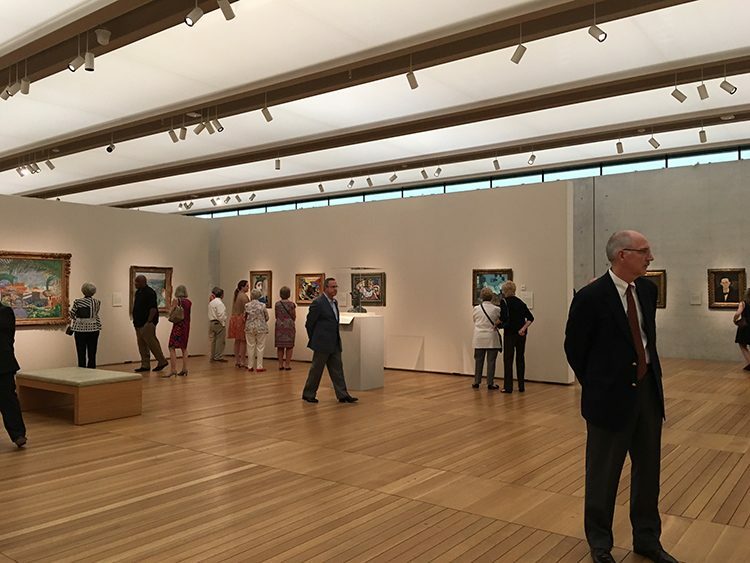 See this exhibition in the Kimbell’s Renzo Piano Pavilion through August 13.